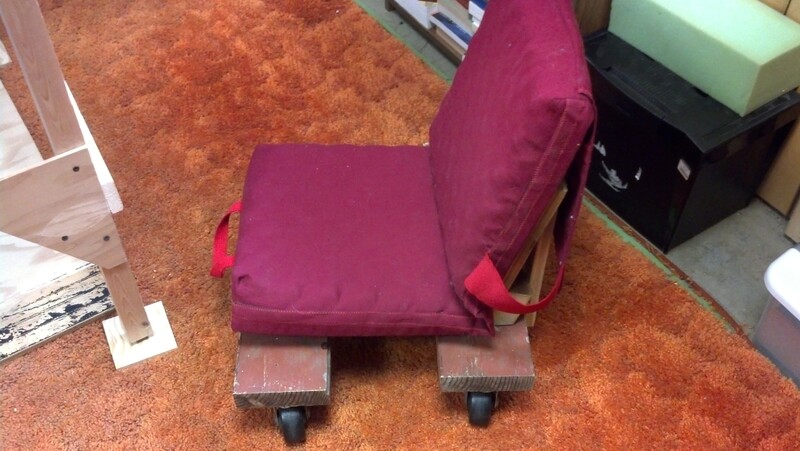 I just finished building an under layout rolling chair. This allows me to roll under the layout to do wiring and make changes to the “L” girder structure. I had been looking for an old style kitchen table chair with the tubular frame, but they don’t seem to exist any more. The chair works well except when I run into things stored on the floor. This entry was posted in Layout Construction and tagged rolling chair on February 23, 2016 by Capt.Brigg.